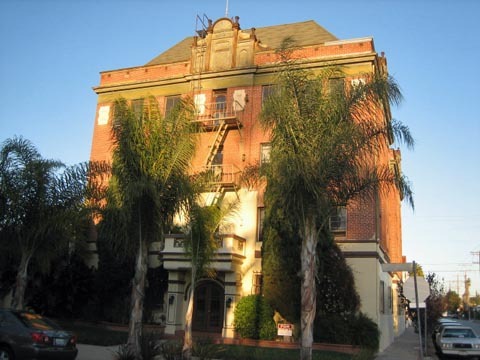 Here are some pictures of the Monterey building as seen in the episode and some recent pictures provided by Eric Cooper. 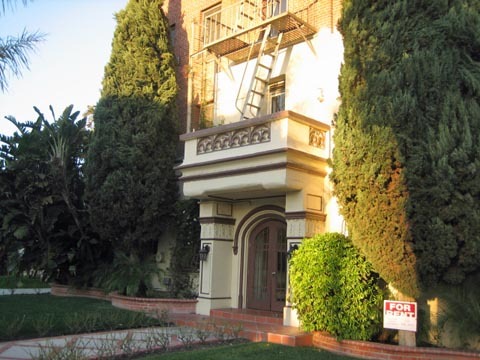 The building is now located at 804 N. Las Palmas Avenue, just a couple blocks south of the studios where the series was filmed at the time. 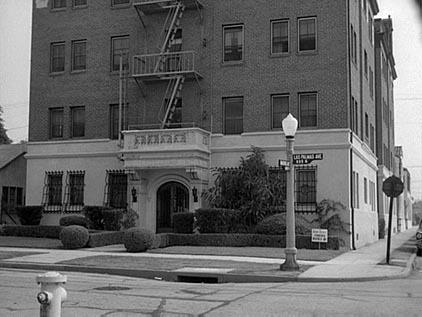 The address of the Monterey was at 800 N. Las Palmas Avenue as can be seen by the number on the door. First view, early in the show. As it looks today (2010) courtesy Eric Cooper. A better angle for comparison. 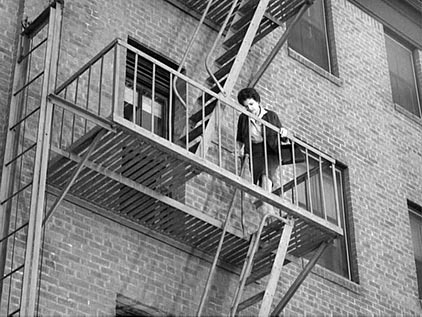 Later in the show, action on the fire escape. 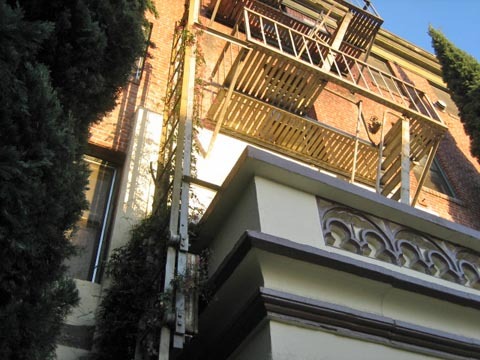 A close up of the fire escape in 2010 courtesy Eric Cooper. 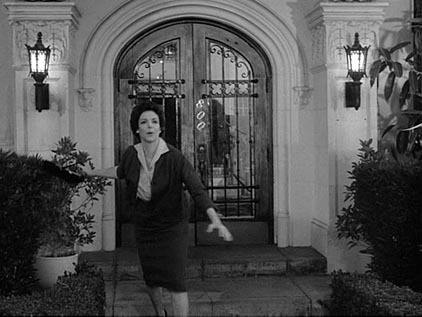 A closer view of the entrance. 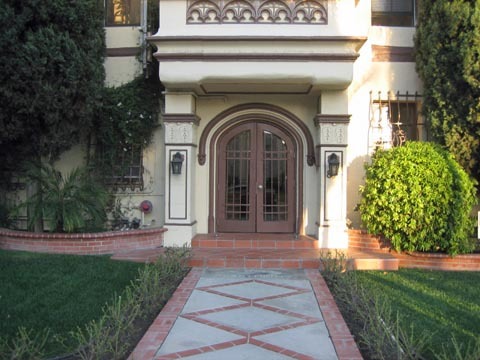 A 2010 view of the entrance courtesy Eric Cooper.